Medical professionals want the best equipment possible to make their jobs easy and their assessments efficient. A high-quality stethoscope is a great way to make all these wishes come true. The best stethoscope for nurses has clear and crisp sound quality, comfortable ear tips, and a stable weight to carry around the neck. It’s an investment that will be used to do some very important assessments. I have the top 10 stethoscope reviews in the market here for you. You’ll never have an excuse to use a low-quality device again. Every medical professional, no matter what his or her budget, can get a quality device. Invented by Dr. Littmann himself, Littmann is undoubtedly most well-known brands in the medical field. They tend to be pricier but are known for high-quality instruments that come in a large variety. Most come with some sort of warranty which is what you want if you’re going to be spending the money on a high-end device. Omron is a medical device and wellness technology company that provides all kinds of equipment from TENS units to blood pressure monitors to fitness trackers. They are most known for their blood pressure monitors which have all passed rigorous clinical validations. You can be sure this brand takes great pride in their products. MDF started making stethoscopes in the 1970’s and has since expanded its product line to blood pressure monitors and reflex hammers. Specializing their product line so much allows them to truly focus on the quality of their products. They have a free-parts-for-life program (yes, it’s real!) which is unparalleled by virtually any other company. The American Diagnostic Corporation is the parent to many medical device brands like Diagnostix™, Adcuff™, and Proscope™, among others. Their products undergo rigorous physical testing and each product is inspected at their New York facility. So you don’t have to worry about buying an instrument that looks great online but arrives made of cheap foreign materials. And many of their stethoscopes come with lifetime warranties. Littmann is a champion stethoscope merchandise company. It’s no surprise that 90% of the best stethoscopes for nurses are of the Littmann brand. The Cardiology IV beat the rest out with its stellar acoustics, versatility, and comfort. Medical professionals love how clear sounds come through. The ear tips seal creating a noise canceling effect so that you can dial in on the important sounds. It also helps that the dual lumen tubing keeps rubbing noises to a minimum. The tunable diaphragm allows you to use the stethoscope in both low and high-frequency modes. It comes with both an adult side and pediatric side. What you pay in money, you get in noticeable quality and durability. Medical professionals never regret buying a Littman. 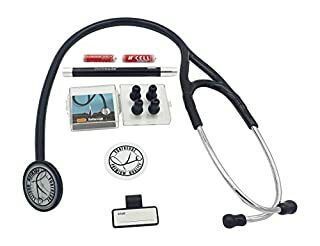 So, I hope this cardiology stethoscope will make it to the top of our Best Stethoscopes for Nurses 2019 List. 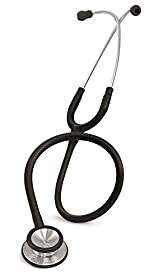 Although not as pricey as the Cardiology III, the Classic III stethoscope from Littman is still up there in price. You get a lot of the same quality features, though. You still get the two-sided chest piece with tunable diaphragms for both adult and pediatric patients. The pediatric side is convertible to open-bell. The earpieces have the same noise cancelling effect and perfect comfortable fit in the ears. The diaphragm has a smooth surface making it easy to clean. The tubing is made to last longer and resist skin oils and alcohol to prevent staining. While the last stethoscope is known to be of perfect weight to carry around the neck, some mention that this model is heavier. This may prove uncomfortable for professionals wearing this around all day. If you’re looking for the cheapest option, this is your stethoscope. This is also the only stethoscope that is not of the Littmann brand. The quality is not as good, but it is good as a basic stethoscope for a lot of nurse practitioners. There are two sizes of diaphragms and three sizes of open bells. The tubing is latex-free and the chrome-plated chest piece is a nice touch. There are two different pairs of ear tips so that you can find your perfect fit. These are not as ergonomically fitted as the Littman earpieces, so don’t expect crazy comfort. You may get some sound interference if the tubes begin rubbing against each other, and it may be hard to here if there is a lot of noise around. But for the low price, Omron Sprague Rappaport may be the best stethoscope for medical students. 4. 3M Littmann Classic II S.E. 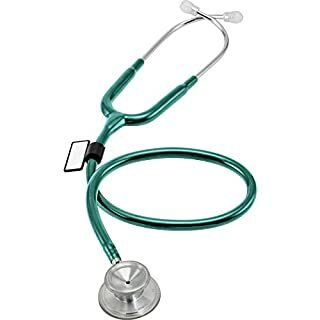 At number four, we come back to the Littmann, this time the Classic II S.E..
You get their dual-sided chest piece with tunable diaphragm by pressure. The headset cancels out the noise and focuses your ears on the sounds coming through. Users enjoy this model for how lightweight it is. Doctors can wear this equipment around their necks all day without discomfort. Medical professionals also like the ample tubing, keeping you a safe distance away from potentially sick patients. The price matches the high quality of this best stethoscope for doctors. I recommend this piece for doctors who want and/or need high-quality sound for assessing patients, such as cardiologists. 5. 3M Littmann Lightweight II S.E. 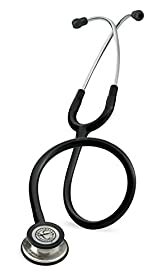 Lastly, we have the cheapest, simplest option out of all the Littman stethoscopes. The 3M Littmann Lightweight II gives reliable acoustic response through ergonomically fitted soft-seal ear tips that fit nicely in the ear canal. Twenty-eight inches of tubing is ample length for most medical professionals. You also get the pressure change tunable diaphragm chest piece that’s so coveted. True to its name, this stethoscope does not weigh you down throughout the day. These features combine to make the best stethoscope for nursing students. Medical professionals may want something more high quality, but as a general stethoscope, many workers find this works great. This stethoscope looks extremely sleek and performs well too. It is made of stainless steel for long-lasting durability and quality. Its chestpiece is made of stainless steel as well and is a dual-head chestpiece with a rotation acoustic valve system. The dual-head allows for listening to both high-frequency and low-frequency sounds and utilizes a green indicator dot, so you don’t have to spend time figuring out which side you’re using. The thick tubing is non-stick and latex-free, making it comfortable for you and your patients. It’s also a bit longer than standard stethoscopes, so you don’t have to be all up in your patient’s business when listening to heart. The thick PVC tubing also helps to maintain sound clarity, and won’t crack after just a few years. Finally, this comes with three different sizes of eartips to make sure your stethoscope fits you better and ensures the best acoustics by sealing out excess noise. Any stethoscope with cardiology in its title is likely going to be a good stethoscope because hearing all the different heart sounds is a difficult task and requires a powerful stethoscope. This cardiology stethoscope is no exception. It is made of latex free tubing and stainless steel. This is a single head chestpiece, meaning you can’t simply switch frequencies by turning it over, and instead must use finger pressure on the diaphragm to change the frequency. Low frequencies require light pressure on the diaphragm and high frequencies require firm pressure on the diaphragm. The chestpiece also comes with a non-chill ring that makes it more comfortable for your patients and decreases the number of flinches you’ll get applying icy cold steel to someone’s chest. You get four replacement ear tips, although they are all the same size. Finally, this one comes with a lifetime warranty, so its longevity is unbeatable. The ADC 615 Platinum is another model that uses a single head diaphragm, meaning you use finger pressure to change the frequency. The chestpiece is oversized to deliver better acoustic performance. This model also includes a non-chill diaphragm to shield your patients from the cold material. It’s made of zinc, plated alloy. The flexible PVC tubing is 22 inches long, standard length for a stethoscope. It comes with Adsoft Plus silicone eartips that are both comfortable to wear and provide a good seal to maximize acoustics and seal out extraneous sounds. This stethoscope weighs a bit more than others on the list. Some may find this to be strong and durable, and some may find that it tends to slip off their neck because of its weight. Finally, this product comes in 9 different colors so you can choose the one that fits your personality. Not to mention, it won’t get lost in the pile of your peers’ stethoscopes! This MDF Acoustic is latex free and made of aluminum. This lightweight model has a dual-head chestpiece, meaning you can easily switch between the diaphragm and bell for low-frequency and high-frequency sounds. It has a full-rotation valve stem meaning when you switch between the bell and diaphragm you can turn any way you want, with a green indicator dot to help you identify which side you’re using. This makes auscultation easier and smoother. The non-chill retaining ring keeps the cold metal off your patients and provides a seal for better acoustics. Its tubing is also a bit longer than the standard stethoscope to give you more space and flexibility around your patients. One of the best features of this stethoscope is an internal metal-alloy chamber in the tubing which allows the tubing to stay open even during bending and twisting of the tube, keeping a nice clear sound throughout your auscultations. Finally, this stethoscope is included in MDF’s free-parts-for-life program meaning you’ll never have to worry when a piece of your stethoscope breaks. This ADC 603 stethoscope is one of the best value stethoscopes you can find. It is made from stainless steel and utilizes an adjustable frequency design to give you better acoustic performance. Additionally, the chestpiece is a combination diaphragm/bell. The diaphragm is designed to be extra sensitive to pick up high-frequency sounds and the bell is extra-large to pick up low-frequency sounds. This stethoscope takes the cake when it comes to versatility. It comes in twenty-two tubing colors and three metal finishes. The tubing is 22 inches long which is the standard size for stethoscopes. It comes with Adsoft Plus silicone eartips for comfort and optimum acoustic seal that dampens out external sounds. Extras included with this stethoscope are two pairs of eartips (different sizes) and a scope ID tag. 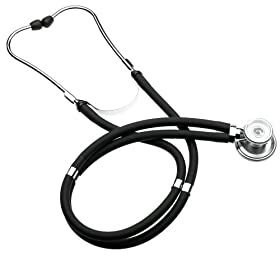 It should be noted that this stethoscope is a bit heavier than others because it is made of steel throughout, whereas many other use aluminum in the tubes or valve stem. This stethoscope also comes with a lifetime warranty which includes free “consumables” such as diaphragms and eartips. Would you rather flip back and forth between the bell (low-frequency sounds) and the diaphragm (high-frequency sounds) with a dual chestpiece, or would you rather use your finger pressure to regulate the frequency with a single chestpiece? This is often a matter of user preference, but some schools require one or the other so check with your professors. Stainless steel is going to be the most durable and long-lasting but can be heavier than other lightweight alternatives. Your tubing should be latex free, so you don’t irritate patient with latex allergies, and should be made of a strong material to decrease the risk of cracking, but flexible enough to move with you. The stethoscope should come with comfortable earpieces that fit snugly in your ears. Detachable earpieces are often best as they can be easily cleaned and easily replaced. Probably one of the most over-looked pieces of a stethoscope is its warranty. As you will be using a stethoscope constantly throughout your shift, they are prone to wear and tear. Some companies have warranties that replace broken diaphragms and earpieces, some come with a limited 5-7 year warranty, and some come with a lifetime warranty. If you’re going to shell out the money for a nice stethoscope, get one with a lifetime warranty. Choosing a stethoscope can be fun once you know where to look. Finding the options that give you the sound quality, length, and durability that you need are out there if you know where to look for them. 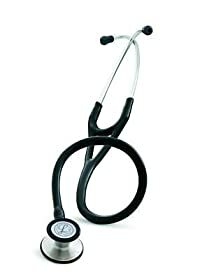 By choosing the best stethoscope for nurses from this list, you’ll be guaranteed a quality item. Complete your perfect nursing uniform including support socks, nursing shoes, and nursing wear. Now you can add a uniquely colored high-quality device to complete your outfit. Now, don’t you have some patients to see with that shiny new stethoscope? Which Littmann stethoscope is best for nurses? The best Littmann stethoscopes are the Littman Master Cardio, or Cardio III. All of these stethoscopes are high end stethoscopes that provide premium acoustics and are made from stainless steel. The Master Cardio comes with a single chestpiece meaning you use your finger to adjust the pressure on the diaphragm to hear different frequencies. The Cardio III comes with a dual sided chestpiece for those that prefer a bell and diaphragm. What is the best stethoscope for nursing students and why? 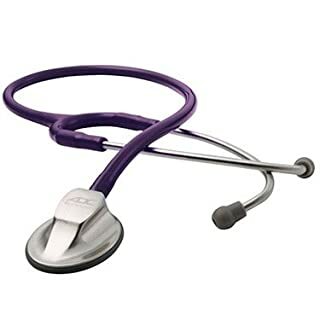 The best stethoscope for nursing students is one that is durable, fits your ears well, and offers great acoustics. Some nurses may prefer a single diaphragm that uses finger pressure to adjust for frequency and some may prefer a dual head that switches between a bell and diaphragm. Additionally, you need to hear the acoustics for yourself before making a purchase so ask classmates or peers if you can borrow theirs to try, or find a store that lets you try out different models. I think 3M Littmann Classic III Stethoscope or 3M Littmann Lightweight II S.E. is a great choice. 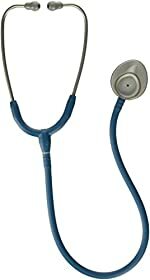 What stethoscope suits best to nurse with a low budget? 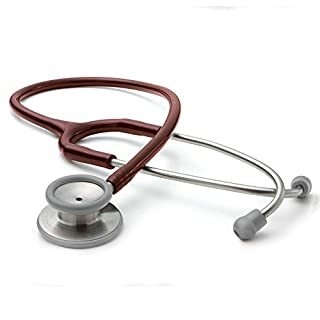 The best stethoscope for nurse with a low budget is the ADC Adscope 603 stethoscope as it is a good value and is made of quality stainless steel. But the real reason this is the best is because of its lifetime warranty and free consumables. So while you’re learning how to auscultate on different patients you won’t have to worry about needing a replacement diaphragm or earpiece. 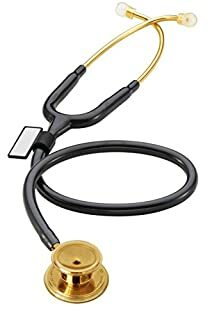 What is the dual head stethoscope used for? The dual head stethoscope has either a dual sided diaphragm or a diaphragm and bell. These are especially useful if you are working with both the adult and pediatric population as the smaller size diaphragm is used for a pediatric population and the larger size for an adult population. Additionally, the bell end of the chestpiece is used for low frequency sounds whereas the diaphragm is used for high frequency sounds.